This may give Lebron a pathway to another ring. The cruelty that took tony Parker down, Iring and Chris Paul 4 seasons ago that opened the magical gates for the Warriors first chip path might be smiling on the Rockets now if Paul can stay healthy. His late season break downs are note worthy. Playoff rotations are not easy on a mans body. Fultz is playing again. Put up some good numbers, but I havent seen the recap. With tbe way Simmons is playing, I wonder if they will consider a trade, now that Fultz's value looks like its on the upswing? Lebron and Cavs dodged a bullet with Isiah Thomas,he is headed for surgery. GustavBahler wrote: Fultz is playing again. Put up some good numbers, but I havent seen the recap. With tbe way Simmons is playing, I wonder if they will consider a trade, now that Fultz's value looks like its on the upswing? Why trade him? Wasn't the goal create the backcourt of the future? while a rocky start, is he damaged enough to change that trajectory? Suppose you're right. I see two PGs who need the ball. We'll see how this works out. 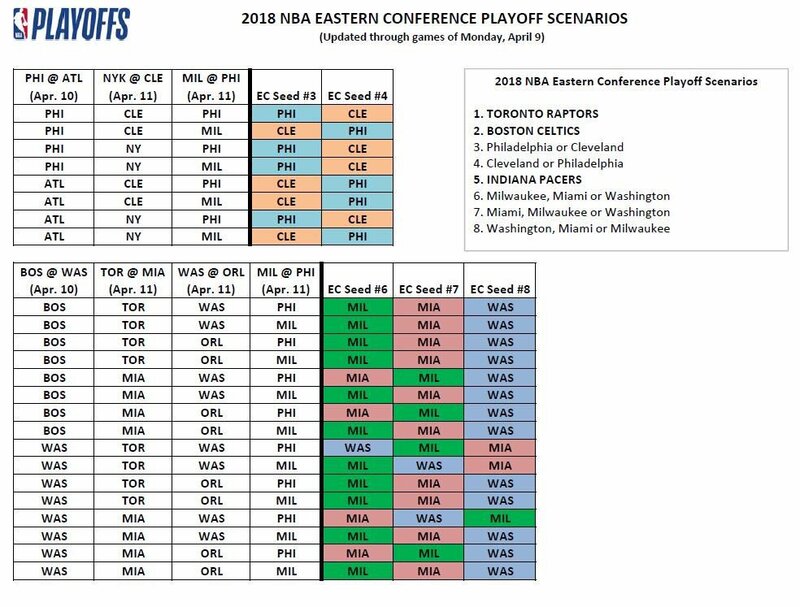 man, I thought Boston would come out of the East if they were healthy. martin wrote: man, I thought Boston would come out of the East if they were healthy. Not the first breakdown of Kyrie either. They lost two all stars from the starting lineup. Haywood and Kyrie. Korver been down after his brother died. Its a bad stretch for them. Even without haywood they were doing pretty darn good with Tatum. Philly is surging these days. Toronto is steady. The teams out west might just beat the snot out of each other. Incredible how few games separate the pack. They are all playing hard down the stretch. GSW is beatin up a bit and Rockets are one bad muscle strain from being eliminated if CP3 goes down. If not, they should steam roll the league if GSW is banged up. Whiteside let the money get to him. Not many times Riley is wrong. THis time he was. Beck article on Jason Kidd. A lot of good stuff. I never realized that he wanted to bench Deron Williams for Shaun Livingston. Two game shoot out. Nuggets have to face the Blazers. Timberwolves have to face the Grizzlies. If they win those two then it's a shootout as they face each other last game of the season. It's certainly going to hurt the Timberwolves if they do miss the play offs and with an extension for KAT on the way, along with existing pay days for Wiggins, Butler, Gibson and Teague they aren't going to have space to make any significant changes to their roster. I personally think the Nuggets will make it, but it's going to be an exciting finish to the season if it is a winner takes all game. Butler was the defecto alpha and his injury hurt them. Wiggins has not stepped up. His stats are not bad but they are “empty” in a way. Thibs teams lose steam at seasons ends. Two games separate teams 3-9 out west. crazy!!! Denver vs Minny and winner goes to playoffs. I hope that games gets televised. GF getting whomped--they look like sht without Curry--they could lose rd 1. BRIGGS wrote: GF getting whomped--they look like sht without Curry--they could lose rd 1.